December, 2001 – 'Tis the season when serious music fans cringe before an onslaught of Nutcrackers and Messiahs that thwart bolder fare. For relief or elevation, those with more adventurous ears might well turn to Gustav Mahler's Symphony # 2 (Resurrection), an intense emotional workout which captures the full realm of human passion within its sprawling scope. The problem wasn't so much a matter of grasping Mahler's musical style – as the culmination of the long line of Viennese symphonists, his ideas were firmly rooted in the conservative structures of Haydn, Mozart, Beethoven, Schubert and Bruckner. Rather, the challenge lay in its emotional premises. As Herbert Reid later explained, Mahler's temperament sensed the imminent upheavals that were to shatter the rationality and optimism that had driven Western civilization up to World War I. His symphonies are spiritual quests that reflect a wholly modern ambivalence of joy and pain, faith and doubt, transcendence and perdition. Mahler was way ahead of his time. Only by the 1960s did his private anxieties at last become our own. The Resurrection was Mahler's favorite symphony, which he led on many auspicious occasions, and it had the longest gestation of any of his works. The opening was completed in 1888 as Totenfeier (Funeral Rites), a stormy symphonic poem to bear the hero of Mahler's recently-completed First Symphony to his grave, amid torment over the meaning of his life. The middle movements awaited Mahler's summer vacation of 1893 and reflected his fascination with the same medieval folk poetry which provided the texts for most of his songs. His creative block for a suitable finale was finally broken in a startling way. Conductor Hans von Bulow was a cherished mentor but had violently rejected the Totenfeier as incomprehensible after encouraging Mahler to play it for him. Thus, when he attended von Bulow's funeral, Mahler's feelings must have been quite conflicted. As he later recalled, at the climax a children's choir sang Friedrich Klopstock's Aufersteh'n (Resurrection Ode), and it flashed on me like lightning and everything became plain and clear in my mind. Seized with inspiration, Mahler added his own apocalyptic and cathartic verses to the Ode and quickly pulled his symphony into final form. The first movement is hugely dramatic; according to Mahler's own program notes it aims to convey nothing less than a search for the meaning of life. The second, representing long-forgotten pleasure, is a gentle, old-fashioned dance of lilting grace, yet challenged by creeping shadows. The third is a grotesque and wickedly sarcastic waltz, shot through with anguished outcries. The fourth is a child's song, naïve and wistfully introspective. And then comes the vast finale, which depicts the full terror and glory of a pagan last judgment and resurrection. It begins with a huge crash and progresses through episodes of hushed expectancy, quivering tension, funeral dirges, hopeful fanfares and fevered misgiving, culminating in a triumphant apocalyptic chorale, one of the most glorious and powerful climaxes in all of music. Mahler adds to the awesome wonder with extraordinary instrumental effects, including offstage brass, a massive battery of percussion and ultimately the sheer visceral excitement of the potent sound produced by hundreds of singers and players. In his lifetime, Mahler was far better known as a conductor than as a composer. Indeed, he was one of the most influential of all orchestral leaders of his time. His musicians recalled his focused intensity, his demand for passionate playing, his calls for ever-greater volume, his incessant concern for atmosphere and his constant subtle variation within a basic tempo (and not only when he conducted – when he walked he reportedly staggered with a continually changing pace). Mahler had no standard interpretive approach. He was an ardent maverick, subjecting each performance to his creative whim. Fried's reading boasts authenticity – not only was he one of the first conductors to program this work (in 1905), but Mahler himself assisted in the preparations, becoming so enthused that he paid for an extra rehearsal with his personal funds. Not only were Fried's records cut barely a decade after Mahler's death, but they emulate the descriptions of Mahler's own impulsive style. Yet, despite its historical importance, the crushing sonic limits of Fried's recording barely suggest the splendor of the vibrant orchestration and the visceral excitement of the climaxes. Fortunately, two of Mahler's other associates lived to bequeath us stereo souvenirs of their insights; unfortunately, though, in the intervening decades their outlooks had evolved and their energy had dissipated. Bruno Walter (1876 - 1962) met Mahler in 1895 and instantly fell under his spell, first as assistant and observer and ultimately as confidant and prot�g�. 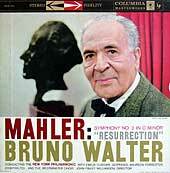 (Walter was entrusted with the posthumous premieres of Mahler's last two works.) Yet, his 1958 studio Resurrection with the New York Philharmonic (now on Sony SM2K 64447) is surprisingly bland. Despite enormous critical acclaim, it's woefully undernourished and ignores Mahler's essential edgy nervous intensity; like a sing-song reading of poetic drama, it just doesn't add up to a complete experience. We can surmise that his lax Resurrection was a function of his advanced age and the drastic mellowing that pervades all his final recordings. Indeed, a vital 1948 Vienna Philharmonic concert transcends compressed lo-fi sound to provide a far better suggestion of Walter's insight through a riveting and fulfilling blend of bracing drama, tangible atmosphere and persuasive structure; while its best transfer is on premium Andante set 4973, budget Classica d'Oro 1033 includes a sensational 1939 NBC Symphony # 1 that utterly blows away Walter's genial 1961 studio effort. Otto Klemperer (1885 - 1973) had served as an assistant conductor during Fried's 1905 concert, after which Mahler's recommendation paved the way to his own career. Both in the studio (EMI 69662) and in concert (EMI 66867), the power of Klemperer's 1960s readings arises from constantly pressing forward with no pause for sentiment. Klemperer achieves a great sense of unity but, like Walter in the studio, only by eschewing a tortured psychic journey. Hermann Scherchen (1891 - 1966), too, may have never met Mahler but, like his contemporary Dmitri Mitropoulos, appreciably advanced the composer's cause through concerts and recordings. Regrettably, we have no record of a Mitropoulos Resurrection, but his superb concerts of the other Mahler symphonies, and especially an unremittingly forceful Sixth,suggest that it might have been riveting. While wildly uneven in the studio, Scherchen made a 1958 recording that's truly astounding. The playing (by an unpolished Vienna State Opera Orchestra) is painfully poor, balances are badly skewed (including a mezzo seemingly lost in a distant valley) and the fidelity shallow, but despite all this – indeed, perhaps because of it – the result is unforgettable, since we can feel the tangible and intensely human struggle as Scherchen probes deeply and marshalls his materials with a unique combination of intelligence and passion. Even the undernourished orchestra contributes to the profoundly personal and human process, as textures emerge with novelty and vitality. The pacing is deliberate (94 minutes), but the feeling of impulsive improvisation, on-going invention and stanch evolution is thoroughly gripping and altogether involving. Mahler predicted: My time will yet come. Indeed it finally did. Although Mengelberg, Barbirolli, Abravanel and others kept Mahler's flame flickering in the half-century after his death, public enthusiasm at last ignited through the efforts of two very different young advocates of a later generation. Mahler's soul-searching angst and searing emotion resonated deeply within the soul of Leonard Bernstein (1918 - 1990), who wowed audiences with kinetic readings of the Resurrection since the outset of his career. Bernstein cherished the work so deeply that it comprised his 1000th performance with the New York Philharmonic, a concert drenched in emotion that I attended and still recall vividly. Bernstein made three recordings and they're are all sensational. 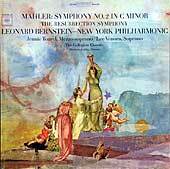 The first, in 1963 with the New York Philharmonic (Sony SM2K 63159, or in a fabulous budget box of all the Mahler symphonies, SX12K 89499), was a whole-hearted and unabashed plunge into Mahler's psyche that still bristles with ardent exaggeration, brash energy and explosive climaxes, abetted by magnificently vital playing by the same orchestra Mahler had led in his final years. A 1973 remake with the London Symphony (Sony SM2K 47573) is more relaxed, but with startling dynamics. A final 1987 New York Philharmonic concert (DG 423 395) seethes with transcendent vision; while it's a bit diffuse and even stodgy at first, the finale builds from a choral entrance awash in hushed timeless mysticism to an apocalyptic ending of overwhelming intensity. Speaking of Bernstein concerts of the Resurrection, two from private sources deepen my esteem even further. A 1949 concert with the Boston Symphony is a remarkable souvenir of the deeply personalized interpretations that electrified audiences from the dawn of Bernstein�s career. Teeming with brash risks and wildly distended tempos that unleash huge infernos of hyper-dramatic power and then subside into breathtakingly tender expanses of comfort, it�s the most viscerally exciting and emotionally gripping Resurrection I�ve ever heard. A 1984 event in the Washington National Cathedral by the �Musicians Against Nuclear Arms� (largely drawn from the National and Baltimore Symphony Orchestras) is a prime example of his mature charisma, here inspiring a disparate group of committed musicians, charged with fervor for their cause, into a cohesive force to project a common vision of compelling zeal. I�m sorry for teasing with forbidden fruit, but it's a sad yet undeniable fact that official releases often pale beside privately-held recordings and that some of the most thrilling concerts on record remain hidden in archives and largely unknown. 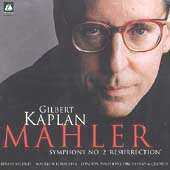 Kaplan's goal was to reconstruct how Mahler himself would have performed his masterpiece. The result is note-perfect, with every tempo scrupulously observed and every accent precisely placed. Yet, despite the thoroughness of the scholarship and the sincerity of the intentions, something essential is missing – the vision of an artist. Mahler insisted that music reflect an intimate partnership of composer and performer. Indeed, as a conductor he often retouched others' work to suit his personal perception and surely would have endorsed no lesser treatment of his own music. 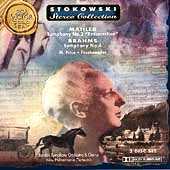 Thus, the essence of Mahler lies not in the literalness of his scores, faithfully conveyed by Kaplan, but in the crucial creative prerogative of the interpreter, whether the unfettered wildness of Fried, the warm humanity of Walter, the steadfast impetus of Klemperer, the structural breadth of Stokowski, the intrepid determination of Scherchen, the ardent passion of Bernstein or, for that matter, the diverse personalities that infuse the much-admired readings of Barbirolli, Solti, Rattle and others. Then again, if you just want musical comfort for the holidays, there's always another Nutcracker. Kaplan�s second Resurrection (DG B0000989) boasts even more authenticity than his first – the world premiere performance of the New Critical Edition of the score, which Kaplan co-edited. Yet, in contrast with its self-proclaimed importance, documentation is woefully thin – a dozen sentences beyond generic bios and reprints of program notes from the Conifer set – but I wonder if the American release is abridged, as the notes refer to material on pages that don�t exist and the DG website has far more extensive information. Does the new edition render all the others obsolete? Hardly. There are no massive structural changes, but just accumulated refinements Mahler had marked in his scores up to the year before his death. Indeed, even with the old score in hand, the new performance presents few audible differences. With Mahler�s orchestra and chorus (the Vienna Philharmonic and Singverein), recorded in the hall where he once reigned (the Musikverein) and even using one of his batons (which Kaplan bought), is the new performance definitive? In concept, it barely differs from Kaplan's first – not quite as pointed and sharp, but slightly slower, more yielding and with a more blended acoustic. The differences are subtle – to cite just a single but telling example, the repeated string glissandi between rehearsal numbers 23 and 24 of the first movement sound less mechanical now, with more dynamic thrust. It�s really the difference between the orchestras – the London Symphony is more malleable, whereas the Vienna Philharmonic is a well-oiled machine with a distinctive �sound� (which Mahler helped shape). Temperamentally, Kaplan�s approach remains much the same. He�s been quoted as claiming that when he conducts the Resurrection it�s just music, shorn of the all-important metaphysical questions he ponders in lectures and writings. Yet, according to a New York Times article by Richard Bernstein, he also recognizes that �Mahler�s music is about expressing emotion and you have to bring your own life and experience into it.� But Kaplan really doesn�t. Perhaps in another decade he�ll let his feelings, whatever they are, override his scholarly detachment. Until then, if you seek a literal translation of the score into sound, either of the Kaplan recordings is just fine. If I had to choose, I think I�d stick with the former – a dissection really should be performed under glaring fluorescent lights. The Kaplan recordings really are impressive – their clarity fosters appreciation for the scope of Mahler�s wildly imaginative use of orchestral resources. But if you seek a genuine inspired performance, you�ll still have to turn elsewhere. After taking the Resurrection around the world, from the music capitols of Europe to Israel, Russia, Japan and China, Kaplan at last made his conducting debut with our National Symphony Orchestra in Washington, DC. 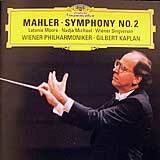 The concert, of course, consisted only of the Mahler Second. At the risk of being thrice stung (and this time for a lot more than the price of another CD), I had hoped that Kaplan would prove more intriguing live than on either of his records. But while tempos were somewhat freer, he still gave more of a solid rendition than an inspiring interpretation. Although confident on the podium, he was largely cold and mechanical, with only rare expressive gestures. Yet, his directions were clear and he managed to inspire the orchestra to play magnificently. Quiet moments were often exquisite, but climaxes tended to be more loud than powerful, with the brass constantly overwhelming the texture. Although Kaplan had transferred what he considered to be the most significant aspects of his yet-unpublished Critical Edition to the part scores used for his performances, there was at least one change that seemed to go beyond the revisions evident from the VPO CD – a tympani roll following the massive climax at the end of the first movement development. After the concert Kaplan generously stayed around to sign autographs and chat. Waiting to talk to him, I had some time to ponder. Like Chaplin�s City Lights, the Mahler Resurrection never fails to overwhelm me, and, true to form, by the end I was quite overwrought. Yet, the impact of the dispassionate rendition soon faded, and by the time I left the Kennedy Center I felt disappointed. Even so, I came to realize that in an important way Kaplan had succeeded brilliantly at his mission – by refusing to interject his own ego, he focussed all attention upon this astounding score, complete with its bold emotion, compelling orchestration and startling quadraphonic effects, all of which, ultimately, manage to survive largely intact even without an overlay of interpretive personality. While I still view Kaplan more as a skilled craftsman than a great artist, a beautifully fashioned machine may only need a mechanic to operate it. Kaplan has refashioned his life into one of utter service to Mahler; rather than isolating himself with the remove of academia, he puts himself on the front line through his performances. Most concerts prompt fond remembrance of the artists, but here there was no such diversion – all impressions converged upon the composer. And while I question whether that really fulfils the role of a concert nowadays when convenient (and far less expensive) scores and records provide ready access to the music itself, my abiding remembrance of the Kaplan performance is one of deep respect for his sincere and selfless integrity. The 21st century already has brought us two outstanding Resurrections. 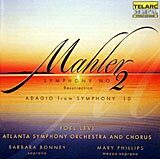 While I tend to esteem personality-driven approaches that delve into the heartfelt soulfulness of the composer, the Atlanta Symphony under Yoel Levy (Telarc, 2 CDs priced as 1, and including the Adagio from the Mahler Tenth) take an opposite view that works brilliantly. Somewhat literal, it eschews proactive interpretation to bring out the essence of the score with sharp precision, an entirely valid approach with a work so full of detail and striking orchestration. The result is convincingly natural, and so effortless in its organic unity and internal beauty that even the somewhat undernourished sting at the end of the first movement manages to sound appropriate in the overall context. While perhaps similar to the Kaplan approach, Levi and the Atlantans vault well beyond academic respect into the realm of artistry. The splendor of the conception is enhanced by the realization that such consistently superb playing comes from the Atlanta Symphony, which sounds every bit as accomplished as far more acclaimed orchestras. A brilliant and detailed recording caps an altogether extraordinary achievement. A 2003 concert by the Lucerne Festival Orchestra led by Claudio Abbado (DG, 2 full-priced CDs) is far more bold. I must admit with some shame that I bought this out of morbid curiosity to see how Abbado�s near-fatal bout with cancer had affected his artistry. As perverse as it might sound, the fact is that confrontations with mortality transformed artists like Dinu Lipatti and Ferenc Fricsay to produce transcendent performances that boosted their perception even beyond the extraordinary levels they had previously attained. After all, the sheer knowledge that a performance of a work is likely to be his last charges an artist with heightened responsibility and can endow the result with a special aura. An earlier Abbado Berlin Mahler Ninth was of staggering insight and intensity, as perhaps could be expected, given the extreme sense of identification fostered by the conductor's and the composer�s mutual awareness of impending doom. The Lucerne Resurrection, while deeply heartfelt, takes a different turn, consonant both with the work's fundamentally youthful character, as well as the nature of the Lucerne ensemble, essentially a temporary collection of top-flight players from European orchestras during their summer vacation season. 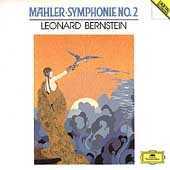 The Mahler is preceded by a La Mer that is both fascinating and disconcerting, as the balances are so often skewed from those we have come to expect – the climactic end of the first movement sneaks up with a woodwind onslaught that so dominates the texture as to obscure the intricate detail of Debussy�s complex orchestration. And so with the Mahler, where the individual lines tend to be spotlighted and entire sections break away from the ensemble. Unlike Pablo Casals� Marlboro Festival Orchestra, a similar summer assembly of superstars who sublimated their egos into cohesion, the Lucerne group is based on chamber music principles, with successive solo displays creating a constant dynamic excitement of emerging and receding highlighted details. For those familiar with the work, this approach certainly is unique and can be either refreshing or disturbing, perhaps both. Surely Abbado was sorely tempted to sieze this opportunity to attempt a definitive reading of a work whose complexity all but defies such an approach, but rather, to his lasting credit, he chose for his final journey with the Resurrection to take it down a wholly new, untravelled and visionary path. copyright © 1998-2004 Peter Gutmann. All rights reserved.